Bugatti is celebrating its 110th birthday with the release of the 110 ans Bugatti, a special edition of the Chiron Sport hypercar. 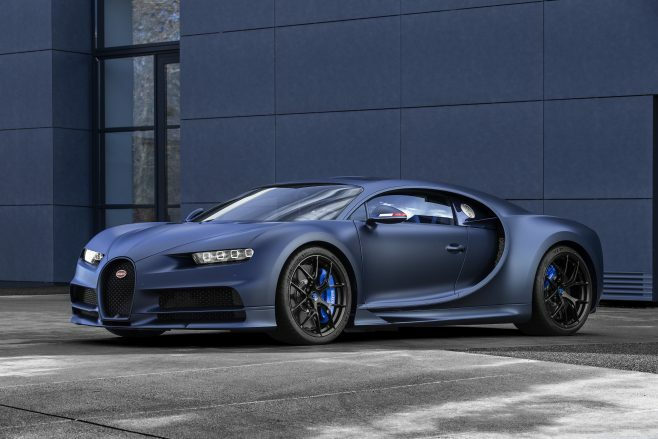 “With the limited Chiron Sport ‘110 ans Bugatti’, Bugatti is ushering in the 110th anniversary of its foundation. 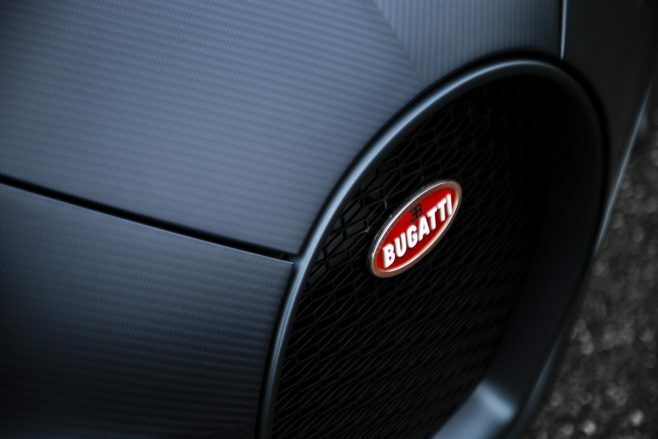 At the same time, we are underlining our origin and our French roots in Molsheim,” said Bugatti Automobiles’ Stephan Winkelmann. 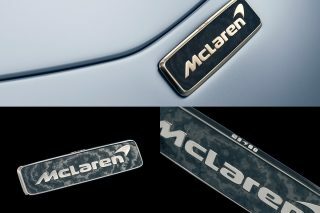 Molsheim, in the Alsace region of France, is an “essential element in Bugatti’s brand history and this is also where we are planning our future”, Mr Winkelmann added. 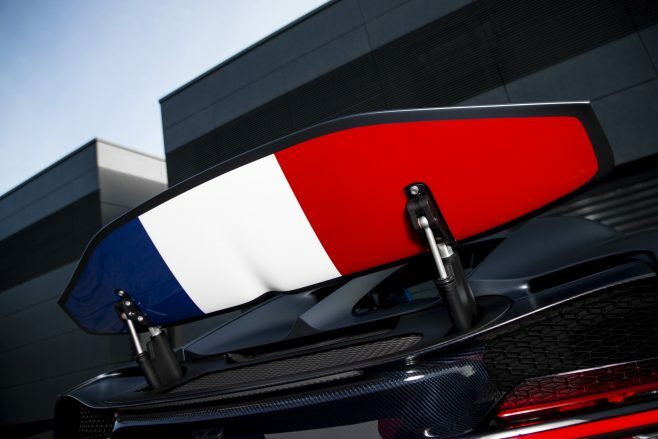 The French tricolour with its blue, white and red (Le Bleu-Blanc-Rouge), decorates the special edition Chiron Sport and interior. 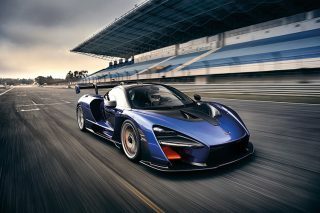 The body and the front end are made from carbon fibre and the Bugatti line and radiator from aluminium, while the matt Steel Blue paintwork at the rear, produced in a complex process, has a sheen like hot-rolled steel. The front end consists of exposed carbon fibre in Steel Blue Carbon, made to look like steel, and the two-tone colour scheme harks back to historic models: in the 1920s, this type of paintwork was a sign of luxury and exclusiveness. In the special edition Chiron, the colour scheme divides the bodywork into the monocoque and engine compartment. 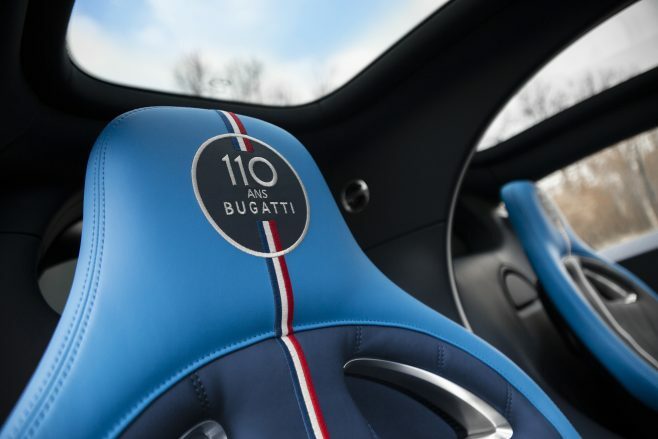 The optional Sky View roof consisting of two fixed glass panels above the driver’s and passenger’s seats is a standard feature on the 110 ans Bugatti special edition. They panels have a newly developed laminated structure with thin glass and four intermediate layers. What’s unchanged from the standard Chiron Sport is the monstrous powerplant – an 8-litre, quad-turbocharger W16 delivering 1,480hp and 1,600 Nm of torque. 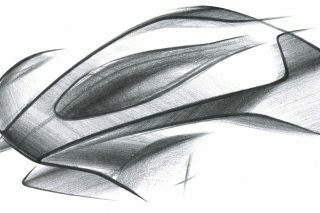 “The ultimate hyper sports car from France is still the most powerful, highest-quality, fastest and most comfortable gran turismo in existence – a blend of elegance, quality, unique character and power,” said Mr Winkelmann. If you were looking to buy one with some ‘ang pao’ money, move quick: just 20 will be built.